Every holiday season there are the “must have” toys of the year. Have you ever wondered why this happens, or the research behind it? Well, long story short, kids love novelty when it comes to toys. However, are those toys age appropriate for your child? Toys do play a role in the development of your child, so there are a few things to keep in mind. Limit electronic toys. They tend to be overstimulating for babies and young toddlers, and they don’t have the brain development to understand all the beeping and flashing. Traditional toys foster more interaction with caregivers and promote language development better than electronic toys. High contrast colors are helpful because their eyes don’t have full access to colors until about five months of age. Board books are key too. Little ones love the sound of your voice, In fact, you are an infant’s best “toy” so far. Certain books help foster language development more readily than others. Any reading however, is great for a baby’s brain. Foster pretend play. All that dress up play, playing grocery store and doctor’s office is wonderful for the developing brain of a child. Pretend play is one of the best ways to help kids develop social emotional skills since they have to stay in character and model the emotions of another person. Fine motor skills are so important. Preschoolers especially need time to practice fine motor skills so they will be ready to hold pencils and scissors in school. 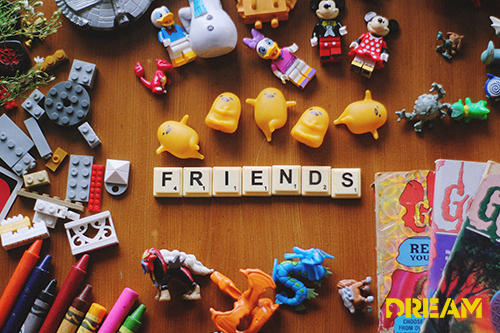 You can help promote these skills by finding toys that make this work fun. Duplo bricks and Play-Doh are the classics for these skills. Sensory fun is great for toddlers, preschoolers and even older kids too. Even elementary age kids find it soothing after a long day at school. Sensory play can include all types of toys like slime, dough, clay, beads, beans or shaving cream. Kids at the ages of five and older are still building executive function. Those are skills like planning ahead, self monitoring, paying attention, and taking initiative. Games that focus on strategy and thinking ahead are helpful for fine tuning these skills. Examples of executive function toys include chess, checkers, tic-tac-toe, dots & boxes or Clue. Older kids can appreciate fostering creativity. Items that help them think outside of the box and consider new solutions to problems are helpful at this age. Things like crafting, painting, musical instruments, tinkering kits and coding games are big winners. Now that kids are old enough to understand rules and teams, sports are often popular. If you child is interested in a particular sport, this is a great time to encourage and foster persistence in one or two areas in which they are passionate. The range of gear available for each sport is almost endless too, so be careful choosing something that will help gain skills and be durable.